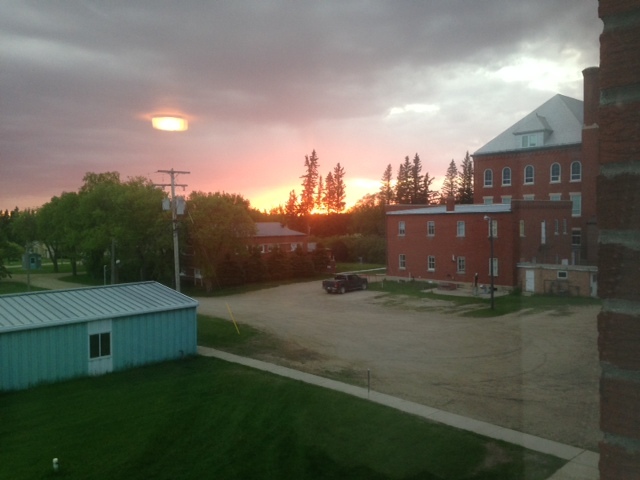 Oh my, did I have a great time at this recent annual event which is held at St Peter’s College, Muenster, SK OR WHAT?! It runs for 10 days and is a hive of activity of ALL sorts of sewing, quilting & knitting related topics. 1. Are you using everything your sewing machine has to offer? 2. Fun with Embroidery: making 5 all-in-the-hoop projects. 3. 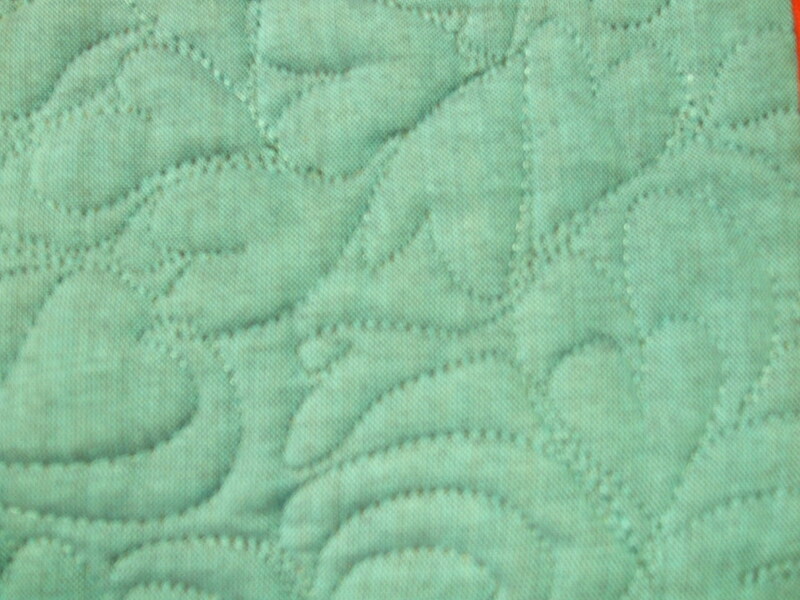 Beyond boring Free Motion stippling …..banishing free motion fear and learning fun new ways to quilt. We also had “Meet the teacher” presentations most evenings. When it was my turn, I did SHOW & TELL with some quilts as well as garments I have made recently – for inspiration and to show various techniques. I also demo’ed the fabulous JANOME QUILT BINDER SET. 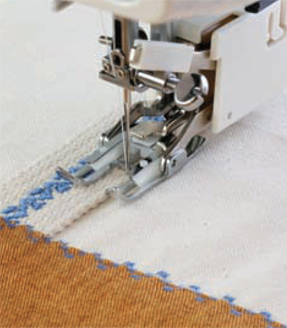 which is fully compatible with many of our ELNA sewing & quilting machines as well. I would HIGHLY recommend that you diarize the dates for 2015 and make a plan to join us there for some of the best sewing & quilting fun in Canada!!! One of the lovely classrooms with folk having a great time sewing up a storm! This pic was taken in a Ron Collins Sewing Retreat class – Ron in the green shirt is assisting a garment sewer. 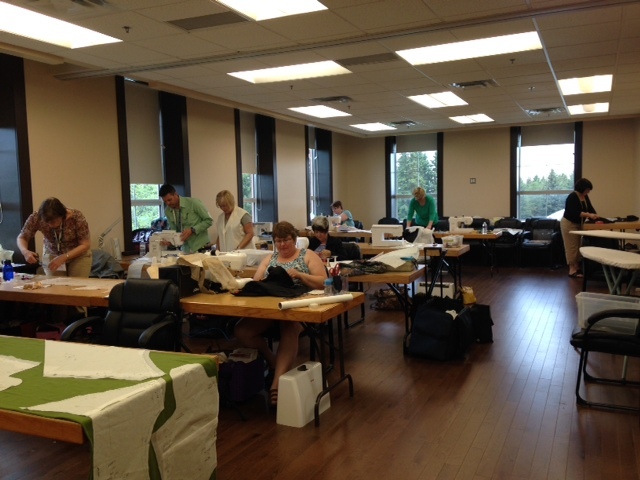 Many of these ladies did all 4 days of the Ron Collins sewing Retreat class…….was I ever envious? This entry was posted in ELNA 760 EXCELLENCE, ELNA 860, ELNA EL730 EXCELLENCE, ELNA EL760, ELNA IN CANADA, ELNA QUILTING MACHINE, ELNA SEWING ACCESSORY ATTACHMENTS, ELNA SEWING ACCESSORY FEET, ELNA SEWING MACHINE, EMBROIDERY PROJECTS WITH ELNA, Fun Elna events at dealer's stores, QUILTING PROJECTS WITH ELNA, SEWING FUN WITH ELNA and tagged HAUS OF STITCHES, HAUS OF STITCHES CONFERENCE, SASKATCHEWAN STITCHES CONFERENCE 2014. Bookmark the permalink.